Folding, welding and creating metal structures with skills and technical knowledge acquired through years of experience. Kernow Metals, who operate from a small warehouse in Wadebridge, are far removed from the modern world. However, this successful business, who have been known and trusted by locals for years, have just launched their first website - catapulting them into the 21st century. Kernow Metals became part of Kernow Fires at the end of 2016 and the businesses are based right next to each other on Trenant Ind Est at the top of Wadebridge. Since then, the team have worked hard to enable the website to show the variety of products from bespoke furniture, fittings and railings to practical metalworks. 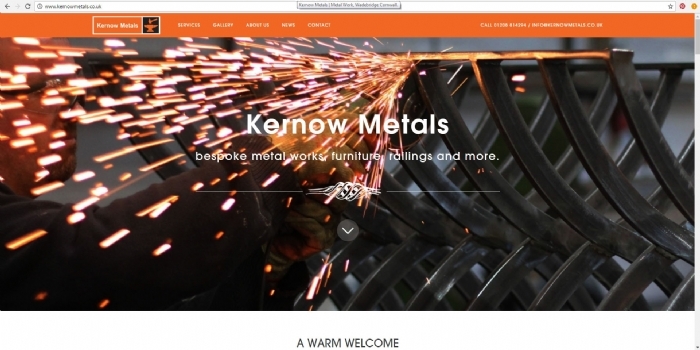 Check out the new website at www.kernowmetals.co.uk or pop into the shop to discuss your next project .